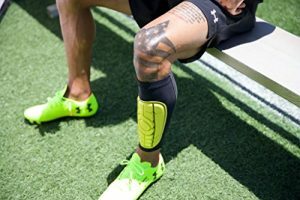 There have been concerns about buyers trying to purchase the best soccer accessories for all age grades but many need to make informed decisions before they buy, that is why this article is here to aid in making the right decisions. We will be going through varieties of soccer gears and equipment that are commonly used in sport. This will be of great use when buying especially for first time buyers. In the game of soccer, the referee whistle is the biggest instrument a referee must have before he can officiate a match. To do a proper job in the field, he will have to be with a standard whistle that will enable him moderate the game. There are different types of whistle made from either plastic or metal. For kids especially, the type of shoes worn to play soccer indoor is completely different from what we seen on the television screen that players wear in the UEFA champions league. This is why many have to be careful to know the right shoe to buy for indoor soccer games . There are specially designed shoes for indoor special games. The designs are done in such a way that fit the exact purpose. The surfaces of such shoes are mostly made of plastics and are less abrasive. This is to reduce the injuries the shoe will cause. When making the purchase for indoor soccer shoes, things to watch out for is the size and type of materials used to manufacture the shoe. There are also some of these shoes that doesn’t use lace. This also have to be considered as some players prefers this. Soccer cleat is one of the most important equipment needed to play. There were time and places when people play without the cleat but we have past Stone Age and we are all expected to wear at least any type of cleat when we want to play. It is however also to wear the right type. For wide feet players, they will be more comfortable wearing a wide soccer cleat. The reason is that it gives their feet better space and the layering of such shoes is better. One common thing about wide soccer cleat is the design of the inner sole. It is done in such a way that allows air to come in and give comfort to users, so this has to be looked out for when buying. When playing soccer, there is need to wear protective as it is a contact game. It is expected that when contact are made, injuries are bound to happen. To prevent this, some equipment have been made to reduce the amount of injuries in the game. One of such equipment is the ankle soccer brace. It is worn around the ankle by players when they want to train or play a match. It is of various types and size. It covers most of the area from the ankle to the knee. This is why it is taken seriously when practicing. 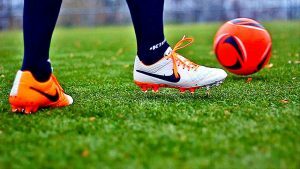 Another importance of this is that for kids just learning to play the game, it is expected that they practice with the ankle soccer brace to aid their understanding of it. There isn’t much to be said about a soccer ball as it is common to everyone in the sport. The soccer ball is the primary accessory in the sport that brings everyone together to play. Back in the Stone Age, there are many things that were improvised to serve as the soccer ball. With technological advancement, new designs of the ball are being made to suit the demand of the game. There are various designs of the soccer ball base on the manufacturer of the ball. 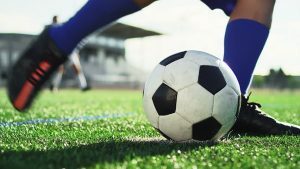 There are several companies in the field that makes soccer balls and all are of great standard which you can always found on our best soccer ball list. There is however something unique about soccer ball, for every design of a ball, there is always something different about it compared to others by a different manufacturer. A good example is the balls used for the FIFA world cup. No two world cups have the same type of ball and each are designed differently. This is why it is very important to know the type of ball one is buying and the manufacturer. In the game, kids are a very big part of the sport. They are the ones enthusiastic about learning the game and even playing not for the money but just for fun. The ones that have been discovered to be of special talents go on and then become superstars. For this to happen, they have to be exposed to the right cleats form tender age. This is why the kid cleat is very important in the industry. They are made specifically to suit the leg of the kids and are of different age brackets and sizes. Different brand also ensure that they make kids cleats very cheap and affordable. Due to the large amount of kids trying to play the game, either professionally or just for recreation purpose, the demand for cleats for kids is high so there will also a room for them to make a good profit as long as the quality of the cleat is top notch. Soccer Goals / Rebounder goals. Back in the days, when practicing, there are things used to improvise whenever a goal is being scored. This is common back then and is still much available now especially for practice. Now, there is availability of various soccer goals types and sizes to choose from. There are also goals made specifically for training purposes, also known as rebounder goals. The way they work, is they bounce back after you score. Great practice gear both for the soccer players and the goalkeeper. The need for protective accessories can’t be under emphasized in the sport. To last long in the game and also to be able to give a good performance, it is important to have a shin guard on when playing. 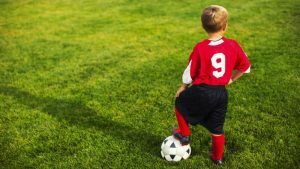 For kids starting the game, it is very good to start learning how to use the shin guard early on in other to help them perfect how to use it in the man soccer game and even identify the right shin guards for them. The shin guards are made in different forms and sizes to fit against the shin. It is of two types which players can choose from based on their preferred choice, the strap and the clip.